In this edition of Podcast Legends we talk with Michael Butler the host of the Rock and Roll Geek Show. One of the original first 20 podcasters, who while promoting his band on his podcast, landed one of the coolest gigs at the former Podshow then Mevio. Here his story and be sure to check out his weekly podcast. Brain Ibbott host of Coverville started his podcast on Sept 18, 2004, and has produced 1138 episodes of his show. Over the years Brian has been instrumental in moving the space forward, and was the first to get licensing to play music covers in his show. Brian has built a mini empire of shows that are in production today. Brian share’s his story of the genesis of Coverville. Tim Bourquin and his brother Emile co-founded the Podcast and New Media Expo in Ontario California in the summer of 2005 setting the bar incredibly high for all future podcasting events. In this interview we look at Tim and his brothers contribution to the podcasting space. We talk about the Podcast & New Media Expo, and the birth of an event where the podcasting community came together as a big family. For those that where not involved in the early days of podcasting this episode is going to set the tone for what I hope to accomplish with this show. Tim is no longer active in the podcasting space beyond being a fan.. But you can check out his latest endeavors at AfterOffers.com. 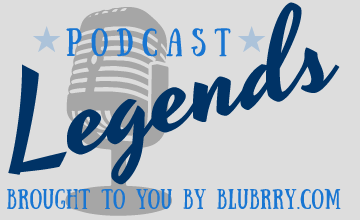 Podcast Legends is a new podcast hosted by Todd Cochrane that talks to podcasters who have had and some still do have major influence over the podcast space. It will take some time to just to talk to the podcasters that started the podcast evolution and my initial focus will be the 2004 to 2006 time period. The goal is to get these luminaries stories whether they are still podcasting or not.. I want to hear the genesis of their podcast, what made them do a show, the challenges of the early years, where they are today, insider notes from the past, and where they think the space is going. 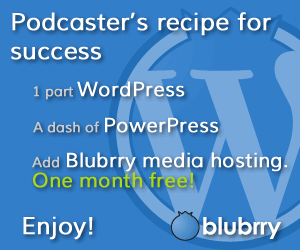 We have 100’s to interview, and already have a list of nearly 200 that have been suggested by podcasters. For now the site will focus on the early years and progress as we get as many as possible to tell their story. My end goal is that by talking to wide diverse group of podcasters, that we will be able to capture the history of podcasting in a way that gives “everyone” a voice to provide input. While I have not yet secured the PodFathers Adam Curry and Dave Winer, my goal is to have them both on the show in the near future.